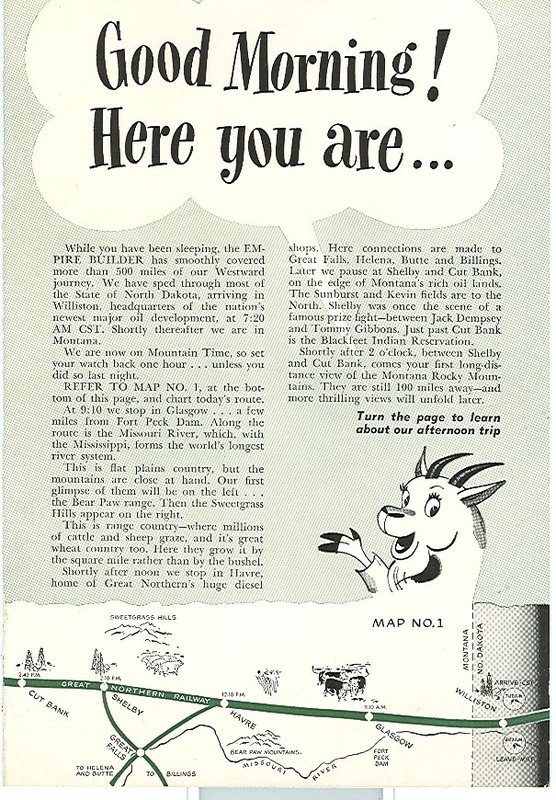 This is a July 1953 brochure "Good Morning! 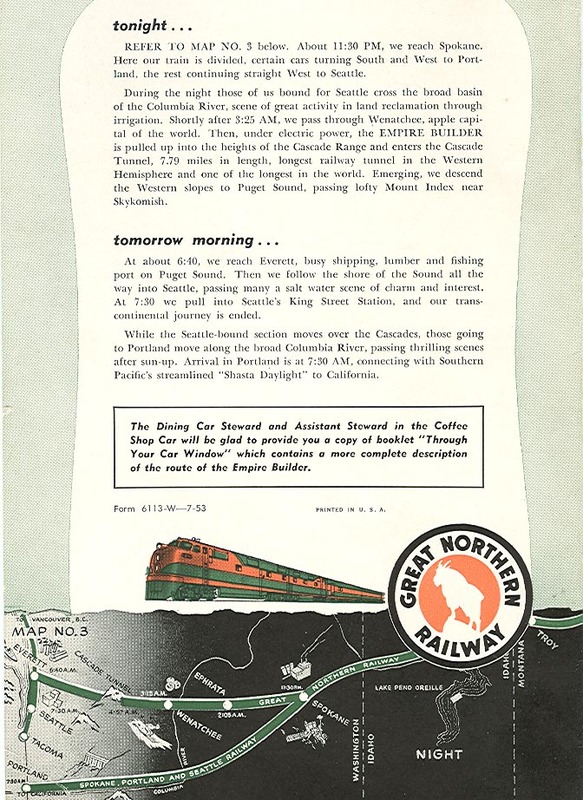 Here You Are..." published by Great Northern Railway and given to Pullman passengers upon awakening their first morning on the Empire Builder. 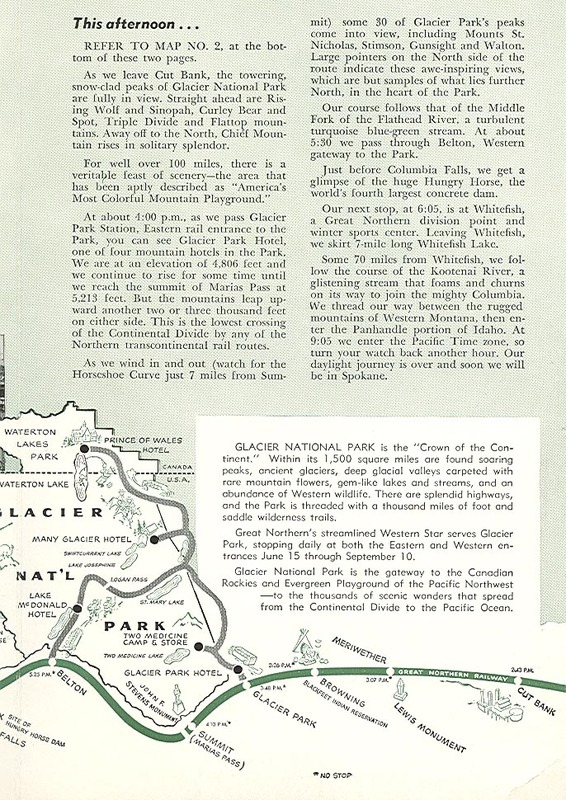 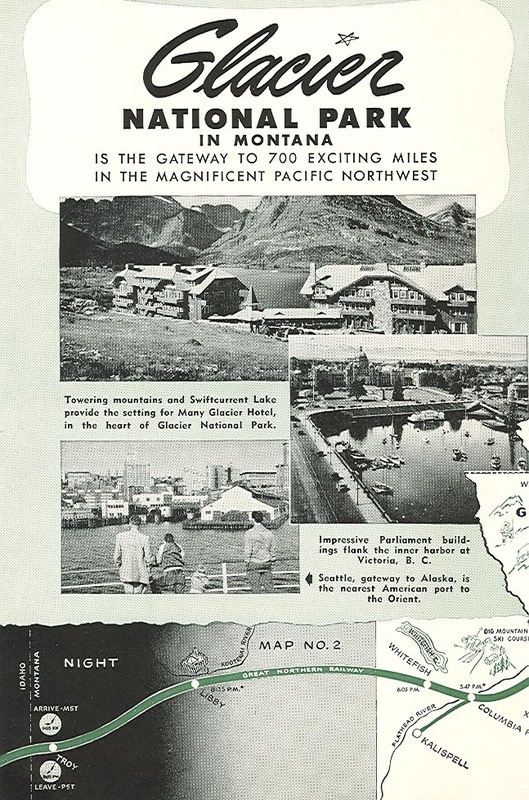 This particular brochure is for a westward journey and begins describing the sights starting at Williston, North Dakota at 6:20 am.